Roy Matsumoto (right), pictured while serving in Asia during World War II, was inducted into the Ranger Hall of Fame. 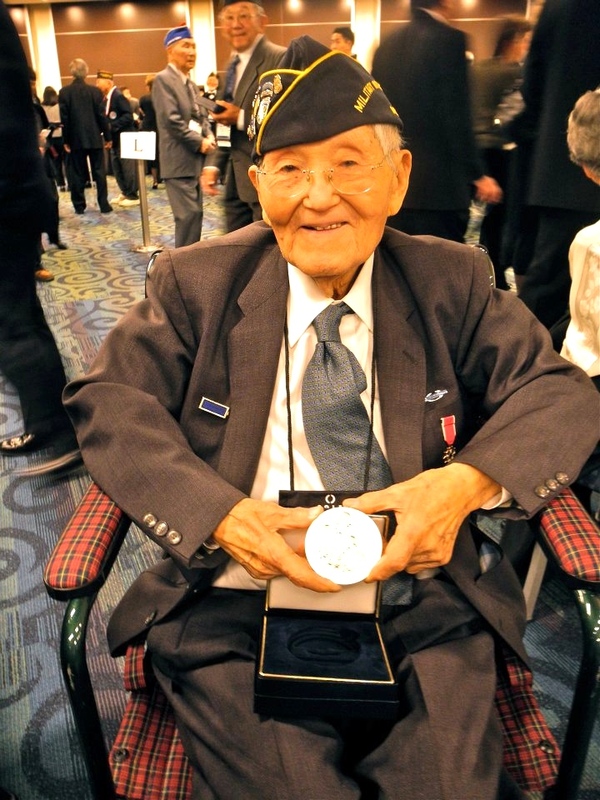 Roy Hiroshi Matsumoto, who served with the famed Merrill’s Marauders during World War II and was inducted into the Ranger Hall of Fame, has died at 100. Matsumoto was born in Laguna, Calif., in May 1913 to Tei Kimura and Wakaji Matsumoto. His father, a farmer and professional photographer, was the grandson of Wakamatsu Matsumoto, an Issei pioneer in the rich agricultural lands of Southern California. His mother, a mail-order bride, was the daughter of Shinjiro Kimura, a famous kendo instructor to Lord Asano of Hiroshima. When Matsumoto reached junior high school age, he was sent to Japan to live with his maternal grandparents and to receive a Japanese education. After three years at the chugakko (middle school) level, he came back to California for his junior and high school education. He remained there after his parents returned to Hiroshima, taking his four brothers and two sisters with them. When the U.S. government began the removal and internment of citizens and resident aliens of Japanese ancestry from West Coast states in the spring of 1942, Matsumoto, then living in the Los Angeles area, was incarcerated first at the Santa Anita Race Track (converted to an assembly center) in Arcadia, and then at the internment camp known as the Jerome Relocation Center in Arkansas. In the fall of 1942, Matsumoto and many other young Japanese Americans volunteered from the camps for service in the Army. 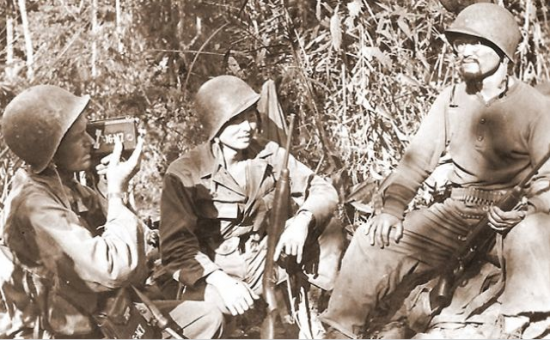 After infantry basic and Japanese language training, he and 13 others volunteered for the 5307th Composite Unit, Provisional, which was to gain fame in the jungles of Burma as Merrill’s Marauders. Named for Brig Gen. Frank Merrill, the unit moved hundreds of miles on foot with mules carrying the equipment and air drops the only source of supplies. Matsumoto was decorated with the Legion of Merit and the Bronze Star. His Ranger Hall of Fame citation reads, in part: “His unit would trek the jungles of Burma, conducting operations behind enemy lines in the steaming jungles to sever Japanese communications and supply lines. Master Sgt. Matsumoto accomplished many dangerous missions by infiltrating Japanese lines every night to listen and snipe. “During the siege at Nhpum Ga on an intelligence gathering mission, he returned one night with news of an impending attack. The Marauders met the enemy with devastating fire. When the attack failed, Matsumoto stood and yelled in Japanese for the attack to continue. The next wave met the same fate as the first. The siege was finally lifted after ten days by an attack of the remaining Marauders. When the provisional unit was disbanded, Matsumoto joined the 475th Infantry Regiment of the Mars Task Force and was attached to Chinese Nationalist Army guerrilla forces, operating behind enemy lines. Serving as an intelligence non-commissioned officer near the French Indochina border, he participated in several dangerous missions, including the demolition of bridges, capturing of prisoners, information gathering, and disruption of enemy communications. He heard about the Aug. 6, 1945 bombing of Hiroshima while stationed in China, but did not learn that his parents and family had survived until after the war. When the war ended, Matsumoto was assigned to headquarters, China Command, Shanghai, where he remained for a year. His duties including escorting 24 war crime prisoners to Japan by air. He was later transferred to GHQ in Tokyo, where he was assigned undercover missions during the occupation. 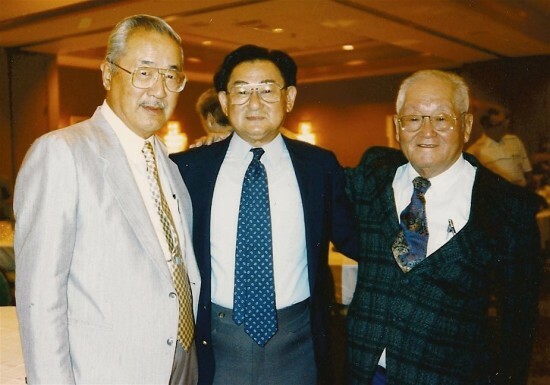 “Horizontal Hank” Gosho, Grant Hirabayashi and Roy Matsumoto at a Merrill’s Marauders reunion. During the Korean War, he was stationed in Okinawa. In 1952, he was transferred to Sixth Army headquarters, Presidio of San Francisco, and then to the Oakland Army Base, from which he was reassigned to the Transportation Command at Fort Story in Virginia. He retired in 1963 after 20 years of Army service. Matsumoto and his wife, Kimiko, resided in Berkeley and raised two daughters. 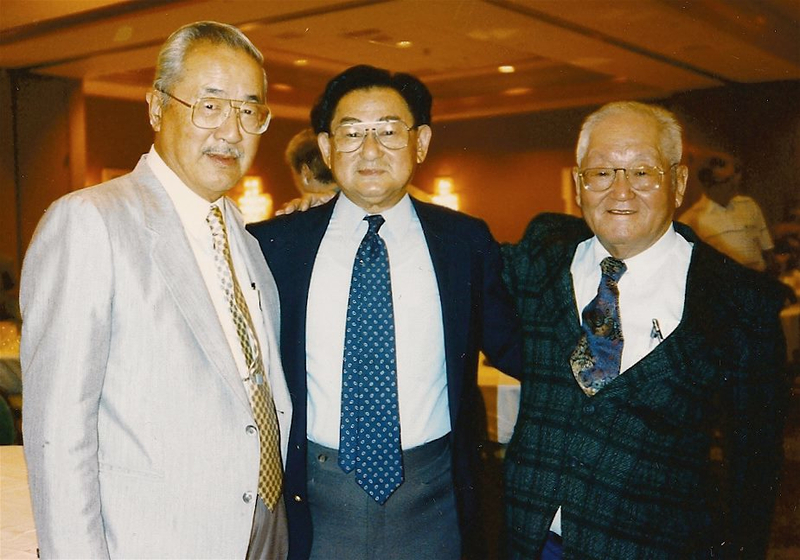 He was a life member of the Japanese American Citizens League, Merrill’s Marauders Association, Military Intelligence Service Association, Ranger Regiment Association, and Veterans of Foreign Wars. Roy Matsumoto at the Congressional Gold Medal celebration in Washington, D.C. in 2011. In 1993, Matsumoto was inducted into the Ranger Hall of Fame at Fort Benning in Georgia “for extraordinary courage and service…with Merrill’s Marauders.” Later that same year, at the MIS National Capital Reunion, he was presented the American Patriot Award for services to his country by the Japanese American Veterans Association. 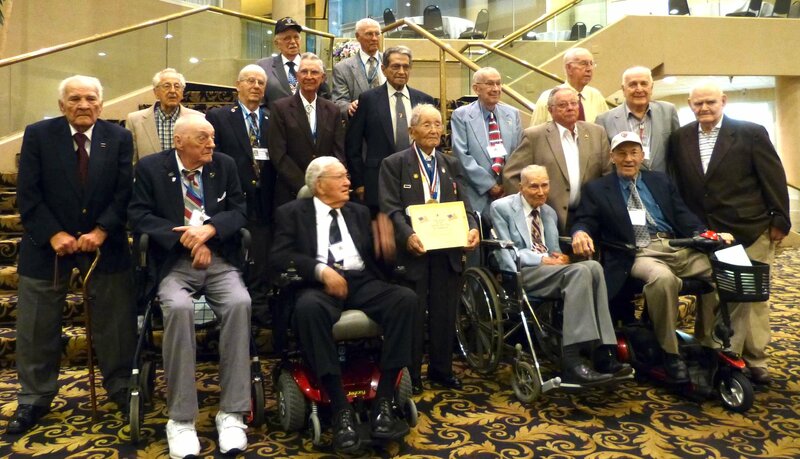 He remained active in later years, attending the Congressional Gold Medal ceremony for Nisei veterans in Washington, D.C. in November 2011 and the 66th Merrill’s Marauders Reunion in Louisville, Ky. in September 2012. He is also the subject of a documentary, “Honor and Sacrifice: The Roy Matsumoto Story,” produced by Don Sellers and Lucy Ostrander with Karen Matsumoto as associate producer. It was named best documentary at the 2013 Gig Harbor Film Festival and 2013 Port Townsend Film festival, and earlier this month received the 2014 Erik Barnouw Award from the Organization of American Historians. Karen Matsumoto told The Journal of the San Juan Islands that her father’s health had declined rapidly in the past several weeks, but that his sudden passing the day after enjoying Easter Sunday with his family came as a shock. Roy Matsumoto is survived by his wife Kimiko; daughters Fumi and Karen; sons-in-law Richard and John; and three grandchildren. Roy Matsumoto (front, center) at his final Merrill’s Marauders reunion in 2012.